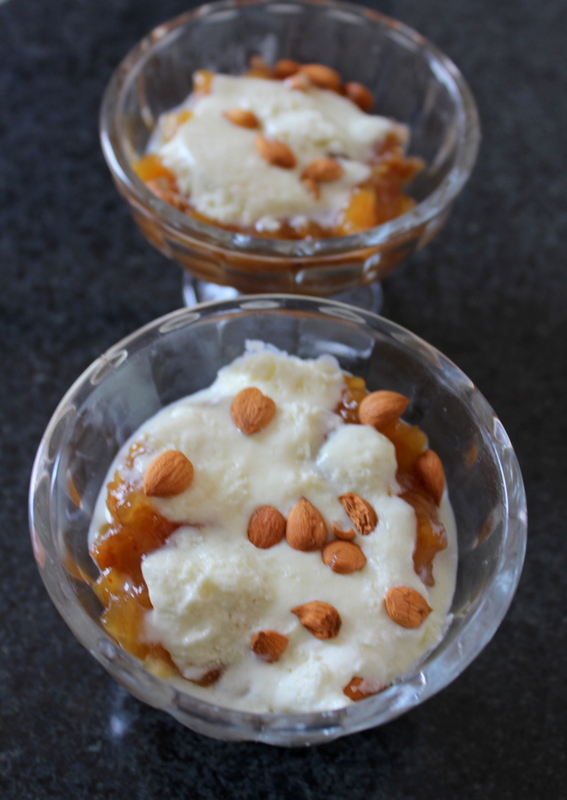 Khubani Ka Meetha or qubani ka meetha is an authentic hyderabadi delicacy made with dried apricots and is a traditional dessert often served during occasions like weddings and gatherings. Khubani or qubani or khobani is an urdu term for apricots. 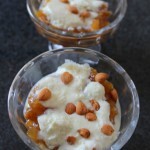 Apricots should be soaked overnight to make this scrumptious dessert. Whenever one visits hyderabadi weddings this dessert is quite common in the wedding platter. Hyderabadi desserts are quite popular all across India and among them sheer khurma, double ka meetha, kaddu ki kheer are even more popular all across India. The word khubani is spelt in two ways like khubani or qubani…Some spell it as khubani ka meetha and some spell it as qubani ka meetha but, both give a same meaning. 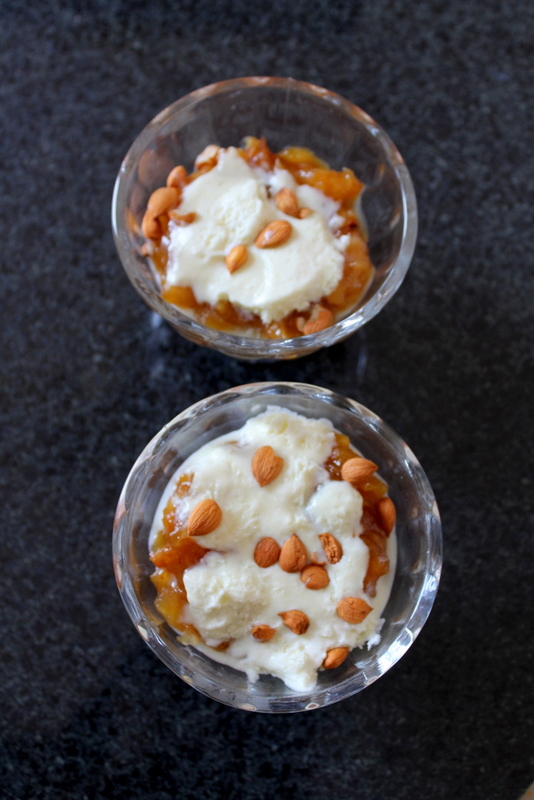 I love to make hyderabadi desserts as they are rich, delicious and tasty to make. 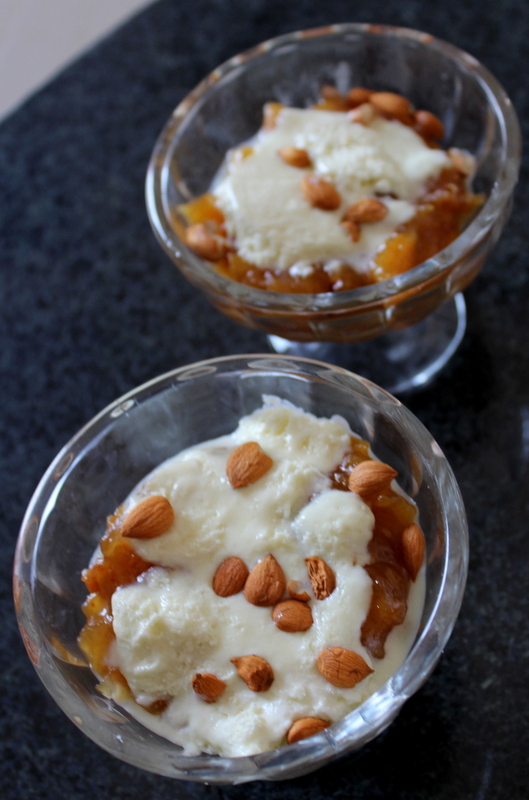 This dessert is usually made by soaking almonds overnight, deseeding the apricots and cooking the soaked apricots until they reach a thick consistency something like a thick soup, then they are slightly mashed, sugar is added and cooked again. Apricot kernels are nothing but the seeds inside the soaked apricots are taken out, they are beaten to take the kernel out. The kernels appear like small almonds and they taste best if added into the khubani ka meetha or qubani ka meetha. Apricots have amazing health benefits and including them in your diet helps in increasing dietary fibre, potassium, iron and antioxidants and they are good for skin and heart as well. Apricots can be replaced for fruits as they provide rich source of dietary fibre and iron. Wash and soak the apricots in water overnight. Remove the seeds from the soaked apricots. Break open the seed shell and we find badam like kernels inside. Set the apricot kernels aside in a bowl. Discard the shells of the seeds. In a wok, add the soaked apricots and also the soaked water. Cook the apricots on low flame until they are soft and mushy. Add sugar and cook until sugar is dissolved fully. Serve the dessert in a bowl. Garnish the qubani ka meetha with custard. Also it can be garnished using ice cream flavors. Either use ice cream or custard and do not use both for garnishing. Finally top it up with some apricot kernels. 1.The apricot kernels exactly appear like badam and the brown covering can be removed by blanching the seeds in water or soaking them and then garnish it. 2.After removing the brown skin they appear white like peeled almonds but these are smaller in size. Hyderabadi cuisine is amazing. Following your blog for some time and loving your recipes, specially the hyderabadi and andhra recipes.